Pinch to Zoom is a new function that has been replaced with the slider zoom function in the iPhone’s camera.app in the new iOS 5 firmware. 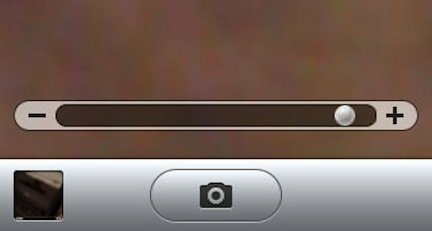 With this update, you now are unable to tap and use the slider bar to zoom-in or zoom-out while using the Camera app. With ZoomIsBack, you are able to get back the old style zoom-in and zoom-out function which replaces the pinch to zoom feature. Once you install this tweak, simply double tap on the screen and a slider bar zoom will appear at the bottom to zoom-in and zoom-out while running the Camera app on your device. You can download ZoomIsBack right now in Cydia under the BigBoss repo for free. There will be no options to configure this tweak or nothing on your springboard after installation. All the magic happens inside the Camera app.